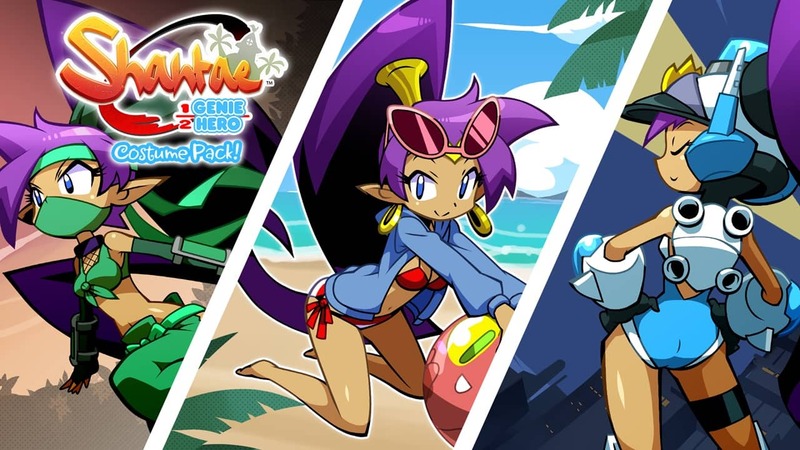 WayForward has announced that the Shantae: Half-Genie Hero Costume Pack will release next month, introducing three new outfits and modes. The Costume Pack – which will release on May 8th priced at $7.99 – will let you bounce off walls, throw stars, and teleport with the Ninja Costume, beat the life-draining heat by collecting sunscreen in the Beach Costume, or lay down the law with your pellet blaster and block-shifting ability using the Mighty Switch Force-inspired Officer Costume. It will also introduce new “what-if” storylines, voices, and character artwork, and, for those that want to, collecting all items or beating the clock will unlock new Win Screens in every Costume Mode. Shantae: Half-Genie Hero is now available on the Nintendo eShop for Nintendo Switch and Wii U worldwide.